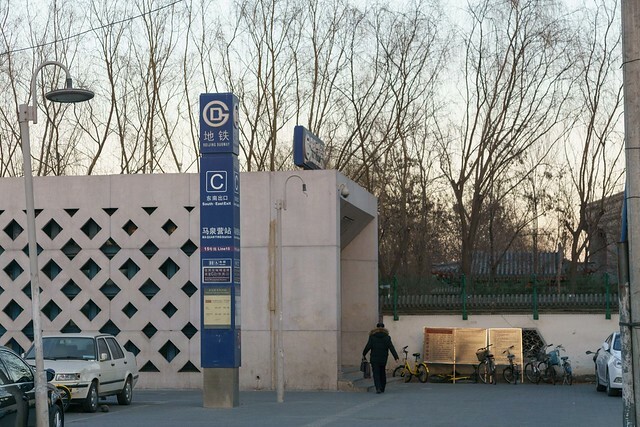 Maquanying is a station on Line 15 of the Beijing Subway. For more details view the ExploreBeijing interactive Subway map centered on this station. Outlets! And it's near the Prosoul Recording Studio! Look them up! Station to the ice rink. Take exit B and you'll find drivers outside who'll drive you to the rink (takes ~5min) for 15 kuai. High-End Shopping Outlets! Almost not worth it. More expensive than shopping in the USA. It has a nice theme to it though. Relaxing day with the wife shopping and ice cream eating. a good place to position my chin. why my spot became smaller?